Is your business looking for a home? 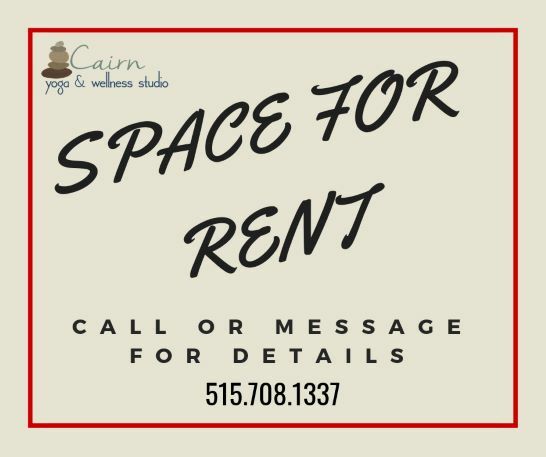 We have offices avaialble for rent beginning this Spring & would love to visit with you about the possibilities for your business or organization within the studio. Discover a self-healing technique with this introduction to the practice of a life-changing style of yoga — Adamantine(R) Yoga. Strengthen & lengthen your body & quiet your mind while taking personal responsibility for learning a sequence of basic yoga postures. This class is open to all levels; no prior yoga experience is necessary. Yoga can unblock creativity. Give yourself permission to let go of expectations, both external + internal & of both success + failure. 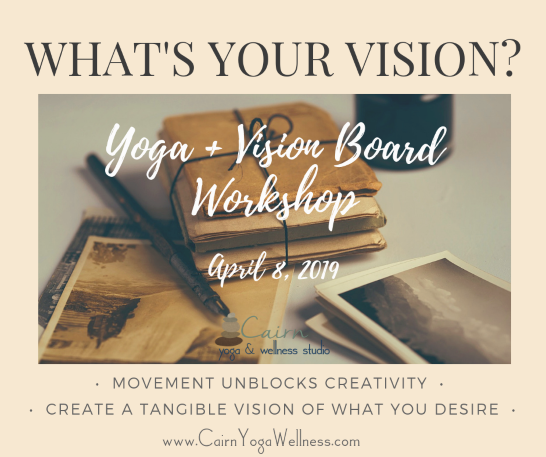 Tune in to LISTENING to your true inner voice through a group-led yoga class, then use the creativity you cultivated to craft a visual of your goals & dreams that you can check in with daily. Welcome and thanks for stopping by! 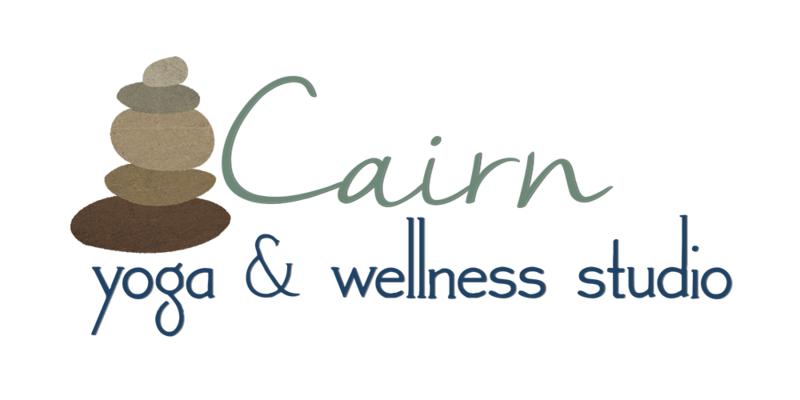 We are your home for holistic wellness services in and around Knoxville, Iowa. We are passionate about bringing you services & opportunities that help you realize your full potential as a whole and complete body-mind. When placed carefully and intentionally, each stone in a cairn contributes to the balance of the entire structure. Your wellness is much the same; many components work together to allow you to become more fully balanced. Cairns are used as guides to mark the way on a path. Allow us to be a guide in encouraging health, harmony & happiness on your wellness journey toward more conscious living. Cathy is a wonderful teacher—intuitive, kind, challenging, and funny. Absolutely love my experience in her studio! Guided Self-Practice yoga classes provide the opportunity to practice your personal Adamantine® Yoga sequence under the personal supervision of a teacher. 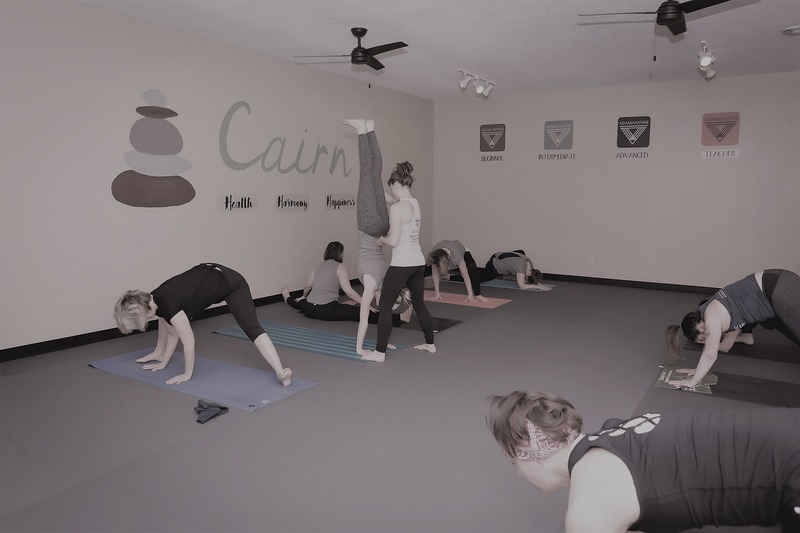 Private Sessions provide you the opportunity to personally address your unique goals, including other training modalities that may supplement your yoga practice. I love Cathy’s sessions. She’s helped me become better at my practice and my practice has helped me in my daily life! I would recommend her to anyone who has been thinking about getting into their yoga practice more fully! 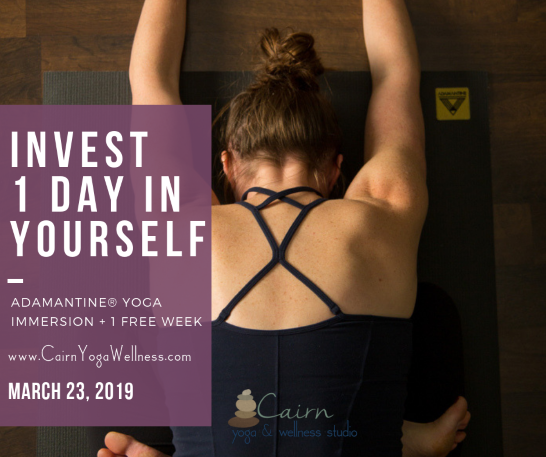 © Copyright 2018 Cairn Yoga & Wellness. All rights reserved. 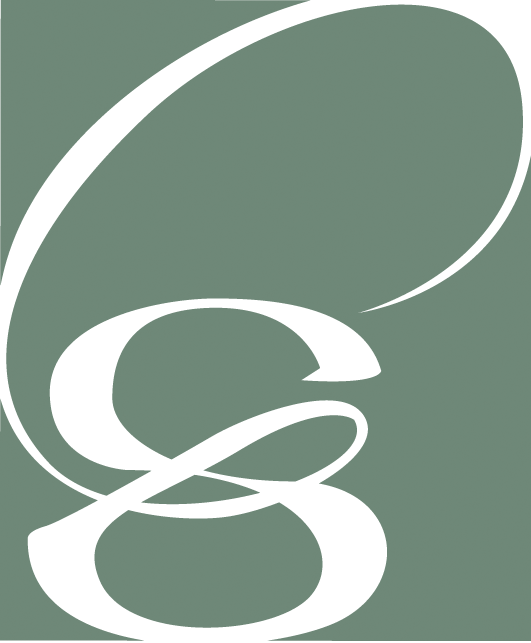 We'd love to be a part of your journey to wellness; sign up for our newsletter to stay in the know!